Although most folks do a decent job of harmonizing their schedules with the neon digital clock on the dashboard, some things in life don't always take note of such devices - like a chorus of tree frogs after a misty rain or a shooting star blazing by on a starlit night. Down South in the slow-country, when the fish are bitin', it's time to go digging for earthworms - and when the baseball fields light up, well that's a good time to plow into a steaming paper bag of boiled peanuts. On a good day, you could do both. So if you're fixin' to go fishin' or headin' out to the ballpark, you may as well leave your watches at home. These afternoons are meant to follow a whole other kind of timin' - time away from it all. Well before the first dogwood blooms or the first blades of grass turn green, devoted anglers and baseball players have been gearing up for spring's ceremonial appearance. Fishing reels have been re-spooled with new line and the collapsible trays of a muddied tackle box have been filled with rows of shimmering spinnerbaits and topwater lures, along with some feathery-looking fellows and unopened pouches of wiggling plastic worms and baitfish. Meanwhile, a weathered baseball bag encrusted in several shades of clay has been tightly packed with assorted gear, a worn leather glove folded just so, a well-seasoned helmet and a decent bat or two. Spring gives the signal to all its players who've been out in the field practicing and fine-tuning their game all year long. It's time to show what you've got - rain, shine, sleet or snow. 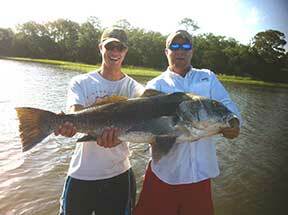 SCDNR fisheries biologist Kevin Kubach shares his thoughts on the many parallels between the two sports. 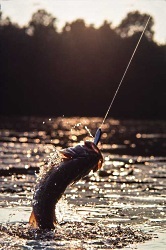 "To me, the greatest similarity between baseball and fishing is that they are different every day. It's never the same thing twice. That's the beauty of the sports - of the outdoors. No matter how experienced you become, no matter how clearly you begin to see the patterns and pick up the tricks of the trade, you are always learning. Whether it's the nature of a ground ball skidding through the grass or the nature of a trout sipping bugs next to a boulder, there's always a wild card. Nature is the All-American pitcher, throwing its best stuff every day, and loving the change-up." Spring also reminds us that there's a world of difference between time and timing. The perfectly timed cast, pitch, hit, catch or throw are all implemented when we're luring our slick and savvy opponents to a loss. When it's all said and done, all the latest science or technology in the world won't do ya a lick of good if you ain't got good technique and good timing - and you can't rush good timing. "A perfectly timed change-up for a pitcher is just as essential as anticipating nature's change-up for a caster," says SCDNR engineer Andy Wicker, who fishes in his spare time on the amateur circuit. "And being in the right place at the right time for a fisherman is pretty important when the big ones are biting - like an outfielder being in good position to catch a ball." Country singer Kenny Chesney sums up a lesson in patience in his song called "Beer Can Chicken," - "...Seems like everything that's good in life, you've gotta wait for." There's no doubt that cell phones and computerized devices have duped a lot of us into thinking that we should always have an instant return coming to us, but baseball and fishing are here to remind us that nothing could be farther from the truth. The true rewards are learned and earned in the slower, quiet moments. Whether you're figuring out the nuances of gripping and releasing a baseball to make the perfect curveball, or experimenting with the spinnerbait under changing conditions, it's going to take patience and practice. "Baseball and fishing can both be a game of inches," Wicker says. "The difference between catching that trophy largemouth or hitting that hanging slider over the fence can be a difference of an inch. Fortunately it's not always the case, but there are times when your cast can be inches off and you're not going to catch that fish. Similarly, if your timing is just a tad early or late, that hanging slider goes from a home run to a strikeout real quick. It makes those times - when you pitch that jig where it needs to be or feel the ball hit the sweet spot of the bat - that much sweeter. Those are the times you know your work in the offseason has paid off. I acknowledge sometimes no matter how hard you work there will be 'those days' when Mother Nature, or the opposing pitcher, wins." And then, for some of us, just showing up for the game is half the battle. With all that's going on in our busy lives and tight schedules, maybe the most important element is setting aside time to do the things we love, even if it's just a half-hour of cane pole fishing or playing catch in the back yard. Just being part of the game is enough. "Success is relative in the eye of the athlete, or the angler, on that particular day and under those conditions," Kubach says. "Some days, you're just going to get licked, or not catch a thing. But at the end of the day - win or loss, trophy fish, full creel or nary a bite - you can go home knowing you were a part of it all. There's always something to take home." The great Jackie Robinson once said, "The way I figured it, I was even with baseball and baseball with me. The game had done much for me, and I had done much for it." 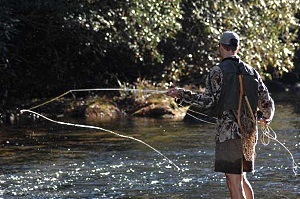 In that spirit, the Big South Conference and the SCDNR are teaming up to encourage families to get in the game and head outside for the first big catch of the season. The Palmetto Sportsmen's Classic is set for March 24-26 in Columbia, with online tickets available at www.psclassic.com. That's where you'll find all the latest outdoor gear, live entertainment for the whole family and maybe pick up a few new techniques from the pros. 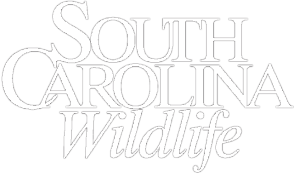 The Big South will be setting up right next to South Carolina Wildlife magazine at the Classic this year. 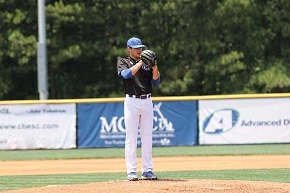 Stop by their booth to get tickets for the Big South Conference baseball championship that will be hosted May 23-27 in Lexington or visit bigsouthsports.com. 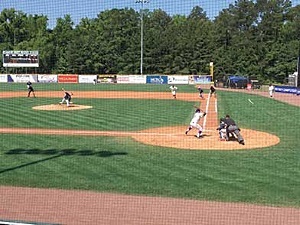 The SCDNR will be attending the baseball championship with Life's Better Outdoors prizes and fun. If you're traveling from out of town to cheer for your favorite baseball team, be sure to bring your fishing gear - beautiful Lake Murray is just a short drive from the field. 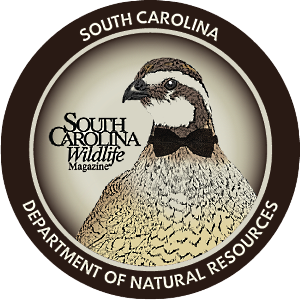 The Big South and the SCDNR have put together the perfect line-up for us. It doesn't matter if you're on the field or on the water, life's just better outdoors. What's your next play? Spring gives the signal to all its players who've been out in the field practicing and fine-tuning their game all year long. It's time to head outdoors for the first catch of the season!